Clearly, time has gotten away from us. The summer was used for a well needed rest with a true vacation, but not without making time to finish Americana artist, Brooke Moriber's first full album. The album will be out in spring, and was completed during parts of the summer in and around a much needed break. In the fall, Fred had the great honor of producing the legendary band from Chicago, The Ides of March, and the album is just now being mixed after being recorded in November in the Windy City. Jim Peterik, the leader of the band as well as the key songwriter from the iconic band, Survivor, wrote 14 new classic anthemic rock songs that will herald an incredible 53 year anniversary for the Ides. The album will be released in the spring. There's also a new Johnny Mathis album in the works, and one of Fred's most historic albums, Jimmy Webb's "10 Easy Pieces" has just been re-released with four bonus cuts. In Nashville, Spring has arrived and it has found Fred coming around the bend of one of his busiest times in recent years. Since the new year, work finished on the historic Lamont Dozier unplugged album that will be released world wide at the end of May. It is clearly the most historic project that Mollin has ever produced. Fred will be leading an acoustic, intimate group as musical director for Lamont's upcoming UK tour and performances on TV and radio starting in late May. They will also be performing in Japan at the end of August. Other projects recorded and finished are Danny Kortchmar's new album release initially in Japan, Canadian wunderkind, Michelle Creber, which features her title song "On Display", a reissue of Jimmy Webb's "lost" 1982 release "Angel Heart", which Mollin curated, a new and important release for Canadian songbird Annie Bonsignoire, and New York actor, singer/songwriter (with theater in his blood AND music), Jared Weiss, who releases his first album, "Isolated Thunderstorms", May 27th. Mid-April brings the recording start of a very unique and acoustically intimate project with Rita Wilson. This is the 2nd album Fred has produced for Rita and this project will showcase her most recent original songs. Rob Galbraith, one of Fred's oldest and closest friends, is releasing a compilation of demos and rarities for Japan and Mollin has curated the project. Another project Mollin is overseeing is the extended collectors edition of Jimmy Webb's "10 Easy Pieces" with four never-heard original demos as bonus tracks. Enjoy spring and we shall update you on the summer projects! FRED HAS BEEN BUSY ON ALL FRONTS. ON THE RECORD SIDE, NEW ALBUMS IN PRODUCTION FOR DANNY "KOOTCH" KORTCHMAR, LEGENDARY STUDIO SESSION MUSICIAN, SONGWRITER AND PRODUCER, AS WELL AS AN HISTORIC UNPLUGGED ACOUSTIC ALBUM BY MOTOWN WRITING GIANT, LAMONT DOZIER. THIS ALBUM IS A CHANCE TO HEAR ONE OF THE MOST IMPORTANT SONGWRITERS OF THE PAST 50 YEARS PERFORMING HIS MOST ICONIC SONGS IN AN INTIMATE SETTING. GUEST STARS SINGING ALONG INCLUDE TODD RUNDGREN, GREGORY PORTER, GRAHAM NASH AND LEE ANN WOMACK. FRED WILL ALSO TOUR WITH LAMONT AS BANDLEADER AND MUSICAL DIRECTOR IN A JUNE 2018 TOUR IN THE UK. ROUNDING OUT RECENT PRODUCTIONS IS A US DEBUT FOR BROOKE MORIBER, A WONDERFUL AMERICANA ARTIST WITH HER JUST RELEASED EP "HERE AND GONE" AND CANADIAN SONGBIRD, ANNIE BONSIGNOIRE WILL BE RELEASING HER FIRST US ALBUM PROJECT "DURBAN GIRL" IN LATE JANUARY 2018. ON THE REISSUE FRONT, FRED CURATED AND EXECUTIVE PRODUCED A REISSUE OF THE JIMMY WEBB 1978 ALBUM "ANGEL HEART" FOR IT'S 35TH ANNIVERSARY, WITH BONUS TRACKS AND DETAILED LINER NOTES (BY FRED) AND ARCHIVAL PHOTOS. THE PROJECT USED ORIGINAL MASTER TAPES AND WILL BE RELEASED MID DEC 2017. ANOTHER ARCHIVAL PROJECT THAT IS ONLY AVAILABLE IN JAPAN, IS A BEAUTIFUL BOXED SET Ã¬BARRY MANN AND CYNTHIA WEIL, ORIGINAL DEMOS, PRIVATE RECORDINGS AND RARITIESÃ®. THIS PROJECT WAS CURATED BY FRED FOR VIVID SOUND IN JAPAN AND INCLUDES A DETAILED INTERVIEW FRED CONDUCTED WITH BARRY AND CYNTHIA AND IS A DEEP COLLECTION OF ORIGINAL DEMOS AND RARITIES FROM THE MOST SUCCESSFUL HUSBAND AND WIFE TEAM IN SONGWRITING HISTORY. FRED IS ALSO NOW CREATING A NEW BRANCH OF FRED MOLLIN PRODUCTIONS INC, THAT WILL ALLOW FRED TO CONSIDER MORE INDEPENDENT ARTIST PRODUCTION IN 2018. REACH OUT THROUGH THE EMAIL SECTION OF THE WEBSITE IF YOU HAVE AN INQUIRY. ON ANOTHER FRONT, FRED HAS STARTED MUSICAL DIRECTION OF HIS BROTHER LARRY MOLLINÃ­S NEW PLAY "PLEASE COME TO BOSTON", WHICH IS NOW IN WORKSHOP. WE WILL UPDATE YOU SOON ON THE NEW YEAR! HAPPY NEW YEAR FROM FRED. WITH BEST WISHES TO ALL FOR A BRILLIANT 2017. FRED IS DELIGHTED TO ANNOUNCE THAT THE JO HARMAN ALBUM RECORDED IN EARLY 2016 IS FINALLY RELEASED AS OF FEB 3 AND IT IS TRULY WORTH THE WAIT. JO IS AN ARTIST FROM THE UK AND IS A GLORIOUS WRITER AND PERFORMER. OTHER RELEASES FOR FEB. INCLUDE THE EP "BATTLEGROUND", BY SHAI LITTLEJOHN, A WONDERFUL AMERICANA/COUNTRY ARTIST WITH STRONG SOCIAL STATEMENTS AND OUTSTANDING SONGS. ON FEB 10TH, WE SEE THE LONG AWAITED COLLECTOR'S EDITION OF FRED'S PRODUCTION OF KRIS KRISTOFFERSON BACK IN 1996. "THE AUSTIN SESSIONS" IS COMING OUT ON RHINO/WARNERS AND INCLUDES A 8 PAGE BOOKLET WRITTEN BY FRED ABOUT THE MAKING OF THE ALBUM, ALONG WITH NEVER-SEEN-BEFORE PHOTOS AND 2 BONUS CUTS THAT WERE NEVER RELEASED BEFORE. IT IS A SOURCE OF INCREDIBLE PRIDE FOR FRED AND A TRULY HISTORIC ALBUM. IN OCTOBER AND NOVEMBER, FRED BROUGHT LONG-TIME ARTIST AND DEAR FRIEND, THE BRILLIANT AMANDA MCBROOM, TO NASHVILLE TO DO AN ALBUM THAT HAS BEEN A LONG TIME COMING. "VOICES" IS THE 3RD ALBUM THEY HAVE DONE TOGETHER AND IT MAY BE THE MOST IMPORTANT. AMANDA IS MOST FAMOUS FOR WRITING THE ICONIC SONG "THE ROSE", AND ON THE NEW ALBUM THEY HAVE RECORDED IT AS A DUET WITH VINCE GILL. IT IS NOT TO BE MISSED. THE ALBUM IS RELEASED IN MARCH. MORE NEW PROJECTS BEING DONE AT THE MOMENT, INCLUDING TEXAS SINGER-SONGWRITER CARTER BECKWORTH ON THE 2ND ALBUM THEY HAVE DONE TOGETHER. MORE NEWS TO COME! LET MUSIC KEEP YOU WARM AND DRY IN THESE WINTER MONTHS! AFTER A LONG AND MUCH NEEDED BREAK THIS SUMMER, FRED WAS IN FULL MEDIA MODE WITH HIS CHORES AS MUSIC SUPERVISOR ON THE FEATURE FILM "THE LEARS" TO BE RELEASED IN 2017, AS WELL AS PRODUCING JOHNNY MATHIS FOR A SONG IN DIRECTOR RON SHELTON'S FILM "VILLA CAPRI", WHICH WILL ALSO BE OUT IN EARLY 2017. ON THE SPEAKING ENGAGEMENT TRAIL, MOLLIN WAS THE GUEST SPEAKER IN AUGUST FOR "SESSIONS ON THE RIVER" IN FT. ERIE, CANADA. ON THE RECORD FRONT, THE JO HARMAN ALBUM HAS FINALLY LOCKED A RELEASE DATE WORLDWIDE IN LATE JANUARY 2017. SINCE RETURNING FROM HIS BREAK, FRED COMPLETED WORK ON BILL WORRELL'S EP, NOW AVAILABLE, AS WELL AS EMERGING ARTIST SHAI LITTLEJOHN'S UPCOMING EP. MOLLIN GOES TO ALBANY NEW YORK AT THE COLLEGE OF SAINT ROSE FOR ANOTHER SPEAKING ENGAGEMENT SEPT 23RD. IN OCTOBER, FRED WILL BE REUNITED ON A NEW ALBUM WITH ONE OF HIS FAVORITE ARTISTS, AMANDA McBROOM. SINGER-SONGWRITER McBROOM IS MOST WELL KNOWN FOR HER ICONIC SONG "THE ROSE". After an early summer that started with his musical directing brother Larry Mollin's NYC debut of his play "SEARCH: PAUL CLAYTON", Fred has been in constant motion on the record front with new albums and EPs. Just released or soon to be released: Salt Lake City 13 yr-old You Tube phenomenon LEXI WALKER with her EP "MERRY CHRISTMAS" for Sony Portrait, singer-songwriter-actor PETER OYLOE with his debut EP "WHEN THE WIDE WORLD ROARS", AMY HOLLAND'S first album in years "LIGHT ON MY PATH", featuring husband Michael McDonald on 2 duets, and a stellar list of songs and performances. Fred just completed 2 songs for UK songbird JO HARMAN and will finish the album in Nashville in January as well. Fred is in the mixing stages of legendary rock songwriter JIM PETERIK'S ("Eye Of The Tiger") new solo album, "EYE OF THE WRITER", after camping out in Chicago. This album takes Jim's most famous songs and reclaims them in new acoustic, intimate versions. The album will be out in January. Late fall and early winter should see the start of the new JOHNNY MATHIS album on Columbia after months of delays. Icon Clive Davis is behind the scenes on this new one. Fred wishes everyone a HAPPY HALLOWEEN, AND A BEAUTIFUL THANKSGIVING. At the moment Fred is awaiting marching orders on the next JOHNNY MATHIS album. More info soon. 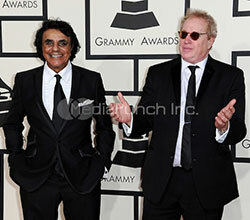 Fred and John attended the Grammys in L.A. in February, where they were up for Best Traditional Pop Album for "SENDING YOU A LITTLE CHRISTMAS". Fred is again doing his musical director and performer duties for his brother Larry's musical drama "SEARCH: PAUL CLAYTON". It will open May 5th for 12 shows in NY at the Triad Theater. New album projects in progress or in the works include a new CD for AMY HOLLAND, as well as new projects for JIM PETERIK and BILLY RAY CYRUS. BE ON THE LOOKOUT FOR ITALIAN PHENOMENON MATTEO SETTI, HIS FIRST CD, "MATTEO" AND HIS PBS CONCERT SPECIAL, BOTH ARRIVING IN LATE AUGUST. FRED PRODUCED THE ALBUM AND WAS MUSICAL DIRECTOR FOR THE CONCERT DVD AND TV SPECIAL. FRED WISHES EVERYONE A WONDERFUL SUMMER, ESPECIALLY THE EAST COAST, AFTER A GRUELING WINTER. ALSO, JUST RELEASED: "RITA WILSON AM/FM-THE B SIDES". THIS EP CONTAINS THE SONGS THAT HAD TO BE EXCLUDED WHEN IT WAS DECIDED THAT "AM-FM" WOULDN'T BE A DOUBLE ALBUM. FRED IS THRILLED THAT IT'S OUT AND AVAILABLE, AS IT'S ONE OF HIS FAVORITE RECENT PRODUCTIONS. HAPPIEST NEW YEAR TO ALL. FRED HAS STARTED THE NEW YEAR WITH HIS PRODUCTION OF JOHNNY MATHIS FOR A DUET WITH ENGELBERT HUMPERDINCK FOR ENGELBERT'S NEW DUETS ALBUM. HE IS NOW BEGINNING WORK ON ITALIAN TENOR. MATTEO SETTI'S FIRST AMERICAN ALBUM. THIS WILL BE FOLLOWED BY A PBS TV SPECIAL OF MATTEO IN CONCERT. PLEASE MAKE SURE THAT YOU FOLLOW FRED ON FACEBOOK! 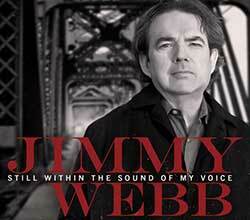 Fall heralds the release of the new JIMMY WEBB album, "STILL WITHIN THE SOUND OF MY VOICE". The album premiere date is September 10th and is distributed world wide through E1 Entertainment. Rolling Stone magazine has given the album a four star rave review. As well, the new JOHNNY MATHIS album "SENDING YOU A LITTLE CHRISTMAS" will be released in October on Columbia Records. Fred also produced Johnny's vocal on the new SUSAN BOYLE duet "WHEN A CHILD IS BORN". Fred's instrumental album "THE MARTHA'S VINEYARD LULLABY ALBUM" is for sale at AMAZON.COM, ITUNES and CD BABY. You can also order direct from the website, and the album will be inscribed and autographed by Fred. HAPPY SPRING TO EVERYONE. WE ARE HAPPY TO REPORT THAT FRED HAS COMPLETED THE NEW JIMMY WEBB ALBUM, "STILL WITHIN THE SOUND OF MY VOICE". E1 RECORDS WILL RELEASE THE ALBUM IN JULY. IT FEATURES GUEST APPEARANCES BY CARLY SIMON, JOE COCKER, KEITH URBAN, CROSBY AND NASH, KRIS KRISTOFFERSON, RUMER, AMY GRANT, ART GARFUNKEL, JUSTIN CURRIE, MARC COHN, ART GARFUNKEL, LYLE LOVETT, THE JORDANAIRES, AMERICA AND BRIAN WILSON. ALSO BEING RELEASED IN JUNE IS THE DEBUT ALBUM BY CARTER BECKWORTH. CARTER IS AN AUSTIN-BASED SINGER-SONGWRITER WITH ENORMOUS SOUL AND ARTISTRY. CHECK OUT "HUMBLE HEART" ON YOU TUBE. AT THIS TIME, FRED IS ABOUT HALF COMPLETED ON THE NEW JOHNNY MATHIS CHRISTMAS ALBUM FOR COLUMBIA RECORDS. THIS IS FRED'S 2ND ALBUM WITH JOHNNY AND IT FEATURES DUETS WITH CELINE DION, BILLY JOEL AND VINCE GILL WITH AMY GRANT. ALBUM WILL BE RELEASED IN OCTOBER AND WE ALL HOPE IT WILL BE RECEIVED AS A HOLIDAY CLASSIC. FRED IS SO PROUD TO HAVE BEEN A PART OF THE NEW BARBRA STREISAND ALBUM "RELEASE ME". HIS ADDITIONAL PRODUCTION OF "TRY TO WIN A FRIEND" WAS A WONDERFUL EXPERIENCE AND THE ALBUM RELEASES TOMORROW. FRED ALSO IS NOW PUTTING THE FINAL TOUCHES ON THE NEW JIMMY WEBB ALBUM FOR E1 AND STARTING THE NEW JOHNNY MATHIS DUETS ALBUM FOR COLUMBIA. HE IS ALSO CLOSING MIXES FOR HIS CANADIAN ARTIST, TENILLE. THE NEW ALBUM IS TO BE RELEASED IN FEBRUARY OF 2013 BY ROYALTY RECORDS. ALSO, FOR THE FIRST TIME EVER, FRED HAS RELEASED AN ALBUM ON HIS OWN LABEL, KATAMA ROAD RECORDS. "THE MARTHA'S VINEYARD LULLABY ALBUM" IS FRED'S FIRST ALL ORIGINAL INSTRUMENTAL COMPOSITION LULLABY PROJECT. IT IS IN THE SAME SPIRIT AS HIS DISNEY RECORDS LULLABY CDS. 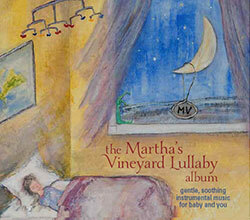 THE ALBUM IS NOW AVAILABLE ON ITUNES, AMAZON AND CD BABY, AS WELL AS THROUGH THE NEW DEDICATED WEB SITE: marthasvineyardlullabyalbum.com IF YOU ORDER THROUGH THE WEB SITE, FRED WILL AUTOGRAPH AND INSCRIBE THE CD. THERE IS ALSO A PAGE FOR RETAILERS TO PURCAHSE THEIR STOCK. In 2011, Mollin produced JD SOUTHER: NATURAL HISTORY, AMERICA: BACK PAGES, MANNY PACQUIAO AND DAN HILL'S version of "SOMETIMES WHEN WE TOUCH" (used worldwide in an HP commercial), new breakout singer-songwriter NIKKI JEAN for the PAN AM SOUNDTRACK, and has just finished a new album for actress-producer-singer RITA WILSON. Rita's album, AM-FM, will be out in May on Universal-Decca. 2012 is starting with recording continuing on a new JIMMY WEEB album which follows the critically-hailed "JUST ACROSS THE RIVER". 2011 also continued Fred's songwriting and production for the HANDY MANNY Disney TV series and his arranging and producing the tracks for Sir CLIFF RICHARD'S just released soul duets album, SOULICUOUS with Motown legend LAMONT DOZIER. WHEN IN NASHVILLE: Mollin does his utmost to continue his residency at the HARD ROCK CAFE with the "FRED MOLLIN MONDAY NIGHT JAM"
DRG Records has re-released JIMMY WEBB's album "TEN EASY PIECES" as a special edition with four bonus tracks. The cd is entitled "TEN EASY PIECES PLUS 4". Fred completed a new album with brilliant young Canadian country artist, TENILLE. Release date January 10, 2011.